This is a draft of something I've been playing with - I've submitted to a publication and am waiting to hear back, but you know me - I hate to keep anything from the good people of the world wide web. So, with my compliments, read on. My name is Eric Drummond Smith, PhD. Please, spell it right in the hate mail. I write because, in recent months, if not years, the tenor of public discussion in the United States of academics in general and higher academics in particular has becoming increasingly mired in factionalism and misunderstanding. I worry about this for many reasons – not merely that an unenlightened, poorly-educated population is unfit to engage in liberal politics, economics, and society (which is to say democratic-republicanism, capitalism, and free speech, religion, and assembly), though that is a real concern in and of itself. I worry because I am a professor and it is my profession and I consider my duty to defend and improve the academic system as I am able. Call it my factional bias, I suppose. Why do we teach the liberal arts and sciences? The truth of the matter is more complicated (surprising no one who actually thinks for a moment). Higher education is aimed, yes, at teaching a technique or profession, the means for a student, upon graduating, to begin their further advancement in a career. But it has other aims as well. First, it is to make students better prepared to be elites. If you have already shouted, “elitist” at the top of your lungs, possibly in a crowded coffee shop, I suppose you’re right. But not in the way that you think. Higher education gives students powerful tools – we make priests, preachers, rabbis, imams, artists, journalists, and rhetoricians who can sway the mind and heart, scientists and engineers and medical practitioners who hold in their hands the stuff of creation and destruction, and businessmen, bureaucrats, military men and women, and political elites who control the majority of the world’s wealth and power. We are preparing the powerful to be powerful, those who will control not just their destiny but those of tens, hundreds, thousands, millions, or even billions of people. There are of course exceptions, but these have been the exception for a long time and are becoming more, rather than less, exceptional. The technique is part of this – it is the beating source of power for these elites. But it isn’t enough – we want elites who are not just self-interested, but also elites who are able to make moral decisions about more than just their own interests. Humans live in societies – complex, interdependent systems of people doing many different things. If we only can usefully speak or value things or beliefs in our tiny niche of knowledge and expertise then we are unable to make ethical and practically intelligent decisions in our purchases, our political activities, and our social lives. We have relegated ourselves to being the most advanced of domesticated animals – skilled, capable, useful, and doing whatever we are told, no matter the moral or political or economic consequences to others. Liberal arts and sciences, however, liberate the human mind – they free human beings to think outside of their area of expertise, to feel confident in intellectually challenging and diverse environments. They free the human to be political, to be able to engage in artistic, social, and ethical debates, and to lose with grace. Do the liberal arts make us liberal? Yes. In the classical sense, that is – liberal arts make people more rational, better at tolerating difference, better at adapting to change, better at weighing the interests of people in factions other than their own. In other words, they make us better capitalists and better members of a democratic-republic. The trade-off? Liberal arts cost more time and money to acquire – probably the only valid concern. Further, they also make society less efficient – those liberally educated, whether they are progressive liberals or conservative liberals being of no matter, question our elites, traditional and contemporary, and that makes them weaker, less able to make decisions quickly and without oversight. Hmm. Maybe the opponents are elitists too, just not the kind the make a free and fair society work. What do professors actually do and why do they have tenure? The professorate evolved from the same forces that created modern lawyers, medical doctors, and the religious pastorates. The Western civilization, as the Middle Ages progressed, once more began to have enough wealth to be able to afford specialization, and enough political, economic, and social complexity to require it. Gradually this led to the establishment of highly ceremonialized centers of education – schools which aimed not merely to teach how to read, write, engage in math, and learn some professional skill (though they did all of these), but which aimed to produce the leadership of a Medieval society, scholars who were both experts in their fields and had a real sense of the broader universe, both human and natural, in which we find ourselves as a species. Some of these became the first “professionals,” that is to say those who practice their profession – lawyers with purple bars on their arms, medical doctors with green bars on their arms, and priests and pastors with black bars on their arms. Some of these folk, however, adopted blue bars on their arms – the traditional color of philosophers in the Western tradition all the way back to classical Greece. Philosophy, literally the love of wisdom, encompassed all the disciplines of human learning – arts, sciences, humanities, you name it, and philosophers had two fundamental aims. First, they sought to advance human knowledge – to test knowledge claims that already existed and to attempt to push the boundaries further than not only contemporary, Medieval philosophical knowledge, but beyond that even of the classical philosophers. The other aim was to teach students – to convey knowledge already learned and to impart the skills necessary to for them to become a new generation of professionals or, should they decide to become philosophers themselves, to become a new generation of professors. This is why that much reviled (today, at least) institution known as “tenure” came into being. The expansion of knowledge and the imparting of that knowledge to new people, people frequently destined to become the elites of the next generation, is dangerous. It is controversial. Professors teach their students to question things and then to act on those questions. Professors teach their students skills aimed specifically at empowering them politically and economically, from rhetoric to mathematics. Professors teach their students that they have been misled by previous generations, sometimes on purpose, sometimes accidently, and that they are morally obliged to attempt to investigate the world with the very real possibility of demonstrating that their own parents, leaders, and mentors (including the professors themselves, it should be noted) are wrong. Professors go so far as teaching students not only the skills to be practically adaptable to a complex world, but also ethically adaptable, able to confidently address moral issues that are personal, political, theological, and everything in between. Professors are incendiary and they are dangerous. But they are also necessary – imagine attempting to run a modern society, even centuries ago, without a class, small, but furiously busy, doing what professors do. Degeneration in the quality of economic, political, moral, and social decisions would begin within a year or two. And professors knew it and know it. We are valuable – not more valuable than anyone else, but possibly more difficult to replace. Consider – the majority of my friends from high school graduated from high school and then pursued a job based on the skills they acquired there alone. Fair enough, of course, but a significant number pursued additional education – sometimes one or a few years of technical education that made them highly skilled craftsmen, sometimes a year or two of higher education towards an associate’s degree that imparted some key liberal arts concepts but was still largely profession-oriented. A smaller number pursed a bachelor’s education – generally four years of additional education with significant emphasis on liberal arts and intensive study in one or two major fields. A very small number of my high school classmates delayed “real life” yet further, pursuing a master’s education, another year and a half to two years of school to firmly establish their professional expertise. A smaller group yet pursued law degrees, called in the United States a juris doctorate but really something between a traditional master’s and doctoral education – coming in at three years (and not a terminal degree – there are yet more advanced law degrees which are generally only pursued by those going into particular complex fields of law or, more likely, planning to become professors of law). So far we’re at seven years of additional schooling past the majority of my peers I grew up with – schooling that doesn’t make them better people, but does make them rarer and harder to replace. Now let’s look at the professorate. There is a lot of variation in what it takes to get a doctoral education (the doctor of philosophy being one, but not the only, truly terminal degree, but the one I know the most about since I have PhD written after my name). In my case my higher educational career was – well, a little more intense. Four years for a bachelor’s degree with a triple major, followed by two years for a master’s degree in an interdisciplinary field, followed in turn by six additional years of doctoral work which really had three distinct stages – three and a half years of classes, comprehensive exam preparation and completion (I wrote around 120 pages in two weeks to prove I had learned what I’d already been graded on, if you’re curious), and then the remainder spent on a gigantic, ponderous original piece of research called, simply, the dissertation – under the oversight (sometimes wonderful, sometimes painful) of four different bosses – er – committee members. My aim is not to brag, it is to explain what professors go through. During my education I was financially barely getting by – no insurance for years, my labor as a teacher or research assistant paying less per hour, in practical terms, than minimum wage, my waist expanding from too much time in libraries and eating ramen. I was stressed out constantly – perpetually exhausted (the peak being the four days without sleep during comprehensive exams – yes, I did hear voices and yes, I told them to leave me alone unless they were going to help me find sources). It was incredibly hard and I did give up my wage-earning potential for, well, a decade, to get to go, but it was also invigorating. And I knew it would lead to a life I wanted to live. So. Here is the thing – it is hard to become qualified to be a professor. Becoming a tenured professor is another thing altogether. Our job interviews are one to three days long each. If you get the job as a tenure-track, normally after one to three years as a fellow or one-year appointment or adjunct professor, then it is four to six years of work till tenure, six years of proving you are supposed to be in the “ivory tower” before you’re considered for tenure. Is tenure job security? You’re damn right it is. Because there has to be some reason to put ourselves through the ringer. But tenure is more than that. It is a protection of the professor’s role as a muckraker, a trouble-maker, an intellectual corruptor of the youth. Earlier I said a huge part of what a professor’s job was lay in seeking truth and empowering those who are young to pursue it themselves. Further, I said that this made enemies of a lot of people – those who have a vested interest in remaining unchallenged and unquestioned, not to mention those people who are frightened unduly at that more unpleasant of universal truths – that we know far less than we think we know. To do this the professorate, perhaps more than any other element of society, needs freedom of speech, action, and assembly in the face of a world that wants to pull the rug from under the professorate or, even worse, to coopt us into teaching only technique and particular ideological lines, making the professorate, with its vast intellectual diversity, into technical manuals and propaganda organs. We need the right to fight each other, to debate and discussion, to open minds and introduce controversy, and to scream bloody murder at the orthodox and the established just as much as we scream it at one another. Tenure is a way of protecting that right – of guaranteeing professors – who don’t have that much money and don’t have that much power and don’t have a vast population base – feel safe enough to do their jobs and keep our civilization in a state of enlightened discourse and growth. When people advocate getting rid of tenure, sometimes it is because they think professors aren’t doing their job – I want to tell you that yes, frankly, some professors don’t do their job. And some mechanics, lawyers, politicians, and sheepherders don’t do their jobs either. Do professors lose their jobs? Yes – if they don’t fulfill their responsibilities. But do they lose their job for engaging in free speech? Not if tenure is working properly. Should math professors be talking about Marxism in class? Nope. 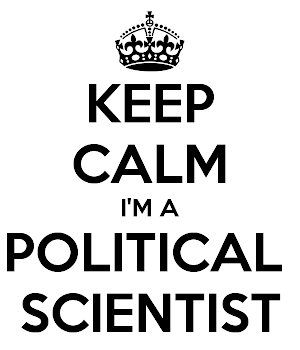 Should political scientists? Absolutely. Should either be allowed to be Marxist outside of class, and lead discussions, debates, and political action, if they so see fit outside of class? Again, absolutely. It is in this context that the critical third job responsibility of professors emerges. Yes, we are teachers. Yes, we are researchers. But further, we are also administrators – we run the academic elements of our colleges and universities, by and large. Why? Simple. We’re the only people who know how to and, of equal importance, we’re the only people whose factional bias is guaranteed in almost every instance to seek to preserve academic freedom for the professorate and its students. When a professor seeks to support those who oppose tenure and academic freedom it is because they have decided some other factional interest matters more than the one they allegedly have dedicated their lives to, the act of professing. That is a simple, basic truth. So, when people call for professors to do more work, realize this – sure, there are lazy professors. But most of us are working our asses off. Professors are teachers, researchers, and administrators. We speak to public forums, testify in courts, advise in investigations, get interviewed by journalists, conference, publish, mentor our students and evaluate their progress so that when a recommendation or transcript says they know something you can damn well be certain they do. 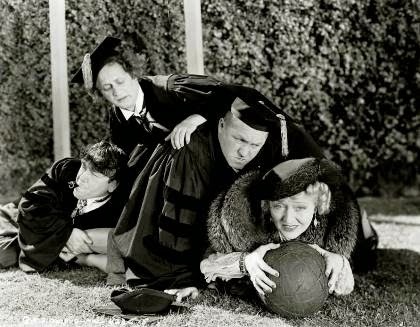 Shrink our course load or, better yet, our class-sizes, and we’re better at all these things. Make us teach more and more classes that are ever larger and more distancing from our students and we are worse at them. Replace us with adjuncts or teaching assistants and you get people with less expertise teaching while also ripping those same people off, generally giving them no benefits and scab-level pay. So, what are the real problems in modern higher education? Well, there is one in particular that dominates my attention – cost. I say there is one that dominates my attention not because it is the only problem, by the by – I am deeply concerned by the fact that drop-out rates are often so high and that a helluva’ lot of students can barely write in formal English by the time they get their degrees. But by and large I think those are in part caused by things I’m not equipped to address (problems in the primary and secondary education system) or are caused by the high costs of college and university (more on that in a moment). I also worry about substance abuse and violence of all kinds on campus, but I suspect that, in truth, they’re probably not much worse than what similar-aged men and women experience outside of a college experience, contrary to the finger-pointing and simple-answer-making (e.g. fraternities are the most evil thing in the universe). No, it is cost that dominates my attention. The more expensive an education is, the more it becomes the exclusive purview of the already wealthy, powerful, and/or well-educated. This matters a lot to me – I teach at a little college in the Appalachian mountains of Virginia where the majority of our students are first-generation – a combination of Appalachian coal miners’ kids, eastern Virginian inner city kids, and farmers’ kids from all over the state, principally. I want to make them powerful. I want to make them wealthy. I want to make them ethically educated enough to use that power and wealth properly. But as the costs of educations, both private and public, go up the consequences are observable and profound. Fewer people are able to afford to attend higher education at all. Others take a much longer time to finish their degrees, having to take far less than a full course load. Fewer people are able to take advantage of the academic community – the constant, live-in-place intensity of life in an inquiring community, a place of art, music, theology, philosophy, science, and history not merely in the classroom but in the dormitories, the cafeteria, on the lawns and in extracurricular organizations. Fewer people have the opportunity to develop deep relationships with their mentors and peers that will benefit them professionally and emotionally the rest of their lives, not to mention while undergoing the strains of their education. And more and more students are working half-time, full-time, or over-time to afford college, meaning they’re getting less out of not only the college community, but the college classes, labs, studios, and libraries as well – put simply, they know less than they would otherwise when they graduate. A high cost college education is a handicap, an impediment to the development of students, one that is particularly regressive, hurting those least able to endure being hurt, explicitly undermining the dream that is so often touted by America – that anyone willing to work hard can make good. Here is the thing. Colleges have a lot of money. Not all colleges, and not all have equal amounts, but nothing to sniff at in all but the worst cases. So, why the tuition inflation? There are a few reasons. First, some schools see other schools’ tuitions increasing and, even though they have no financial need, have decided to raise theirs in tandem. Why? Prestige – the average person mistakenly thinks that the more something costs the better it is. Plus, it gives these schools a powerful recruitment tool – oh, you got in? Well, heck, let’s give you scholarships (which aren’t really scholarships, just disguised tuition wavers) so you can brag to people, making you more likely to attend our institution. This is morally abhorrent, in my opinion – students from poorer backgrounds, especially those whose parents don’t have higher education degrees, are less likely to apply when they see the gross numbers, not knowing how the game is played, meaning schools are steadily, artificially increasing the average income of their students at the application stage. Which, of course, some schools see as a win – after all, the more wealthy a student is the more likely they’ll graduate on time, helping the school’s statistics (all hail the rankings gods, etc. ), the more likely they’ll be able to afford large donations as an alumnus, and the less financial aid they’ll actually require. Secondly, schools are spending too much money on things that aren’t particularly relevant to “school.” Walk around your local college or university and check out the plaques and cornerstones of the beautiful architecture. Now, do some basic math – what proportion of the facilities are academic? What proportion are dorms or the cafeteria? Those buildings, and those alone, are the only buildings that are required to make a college work, function, run. Now, go look at a map of the same school 50 years ago. You’ll probably be shocked at the difference – the proportion of academic and academic-support buildings then probably approached 100%; on some campuses today it is far less. The biggest buildings, newest buildings, fanciest buildings, the ones with the least use in terms of proportion of students or frequency of use (I’m looking at you fancy football stadiums that are used five or six times a year, total)? Those are the ones that are increasingly dominating the scene. Sure, most of these are built by donated money. But what about the upkeep and utilities? Thousands or millions a year per building. If the building is academic, a lab or a theater or a studio or a library, most of us are fine with that. If it is a gym just for athletes or a building just for sweet-talking rich alumni, well, that gets more problematic. Finally, a far smaller proportion of the people who work in colleges and universities are actually doing academic things. Where colleges used to have professors, a few deans, maybe a provost and a president, a few key administrators like the registrar, bursar, administrative assistants, and librarians, and then maintenance and janitorial staff, there are now vast staffs of counselors, advisors, analysts, vice-presidents, assistant deans, recruiting staff, financial aid staff, writing centers staff, special needs staff, public relations staff, development staff, legal staff, residence life and Greek life and student life staff, and a host of others whose job it is to analyze, babysit, or sell things. This isn’t to say that some of this isn’t important – frankly I am a huge advocate of on-campus psychological counseling for students, for instance, but a lot of this reflects the Rolls Royce model of education – it is all about the extras, even when those extras actually, in the long-term, are more injurious than we might like because they are very expensive. Clearly, then, the only answer is to a great deal more discerning in our growth of services and facilities and, equally, to begin to ask donors to please consider donating to the establishment of cost-lowering ends rather than another expensive to maintain something-or-another with their name on it. Hell, put up a plaque somewhere – that is all most donors really want anyway. I hope this has given you some insight into the professorate, why we have a few of the institutions in higher education that we have, how of all the things causing problems in higher education none of them are less a problem than the higher education itself. If you disagree, well, more is the better – after all, I’m a professor – I love a good debate.